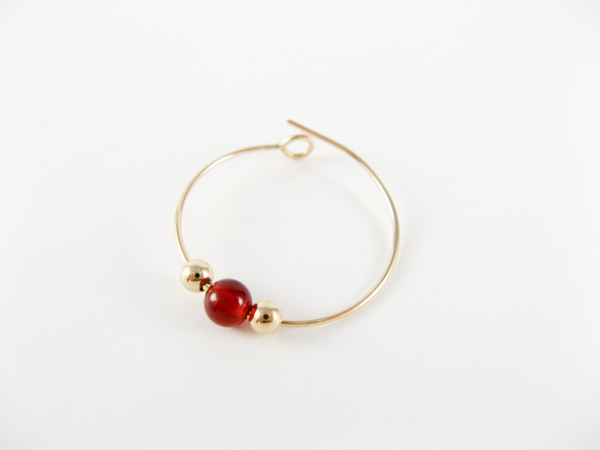 Learn to make your own wire hoop earring project with half hard gold filled wire. These are simple to make with any beads that fit onto 21 gauge round wire. 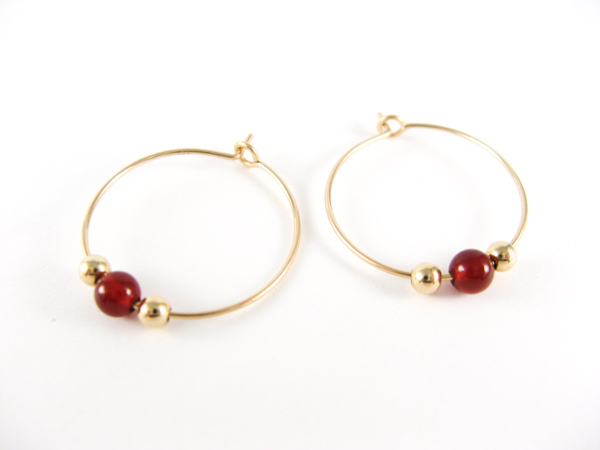 You can make these hoops in different sizes too. I have a pair of plain gold hoops in a smaller size. 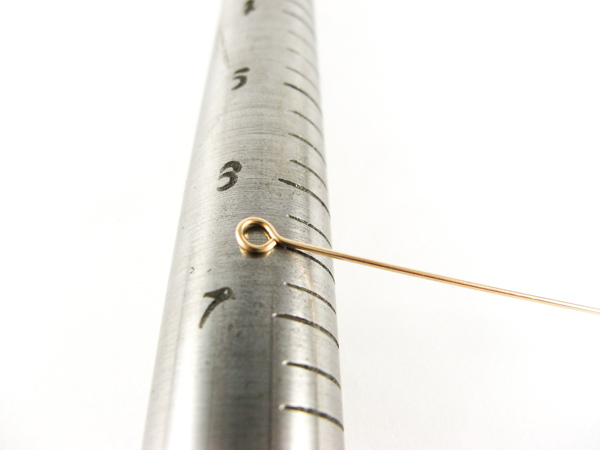 Step 1: Make a loop at one end of the 3 inch length of 21 gauge round, half hard, gold filled wire. I mark my lindstrom round nose pliers with a sharpie marker so my loops are all the same size. 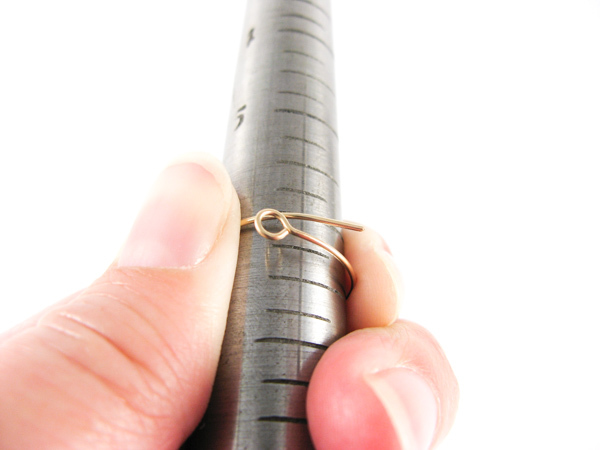 Step 2: Place the wire loop on the ring mandrel as shown at size 6-1/2 mark. Step 3: Place your thumb over the loop and hold it down firmly. Step 4: Wrap the wire around the ring mandrel. 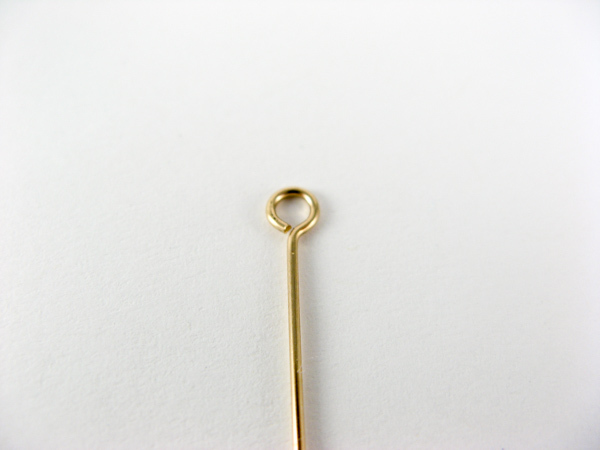 Step 5: Remove the wire from the ring mandrel and slide the beads onto the loop. 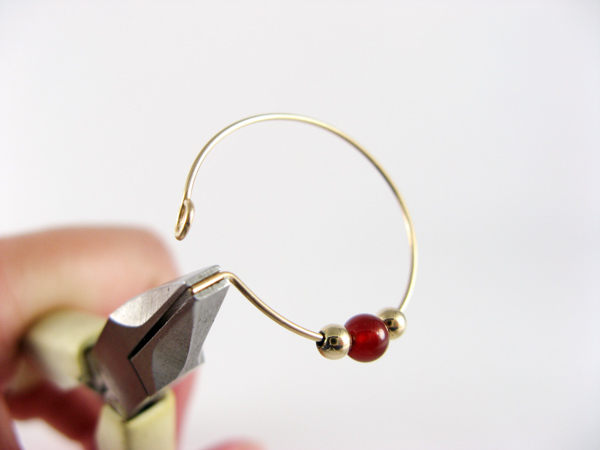 Step 6: Hold the end of the wire with your flat nose pliers and make a 90 degree bend. 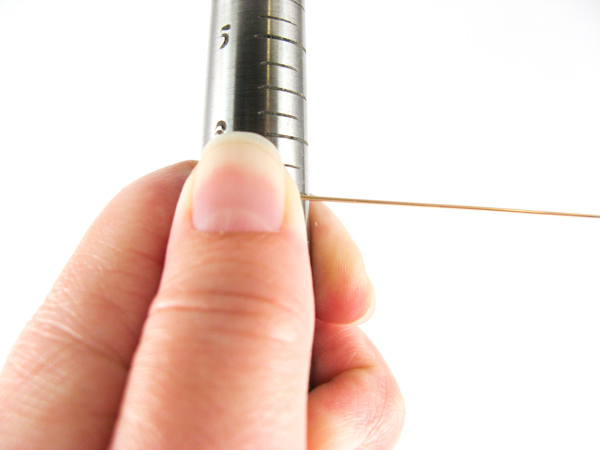 File the end of the catch with a jewelers file to remove any sharp edges. Repeat Steps 1 through 6 to make the matching earring.